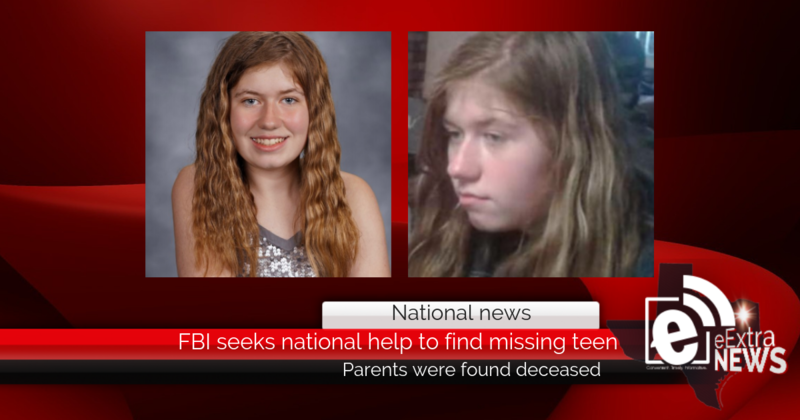 The Federal Bureau of Investigations in Milwaukee is seeking national help to find a missing 13-year-old after her parents were found deceased in Barron, Wisconsin. According to the FBI, law enforcement in Barron responded to a call for service Monday, Oct. 15. Upon arrival, officers found two adults deceased and their 13-year-old daughter was missing. 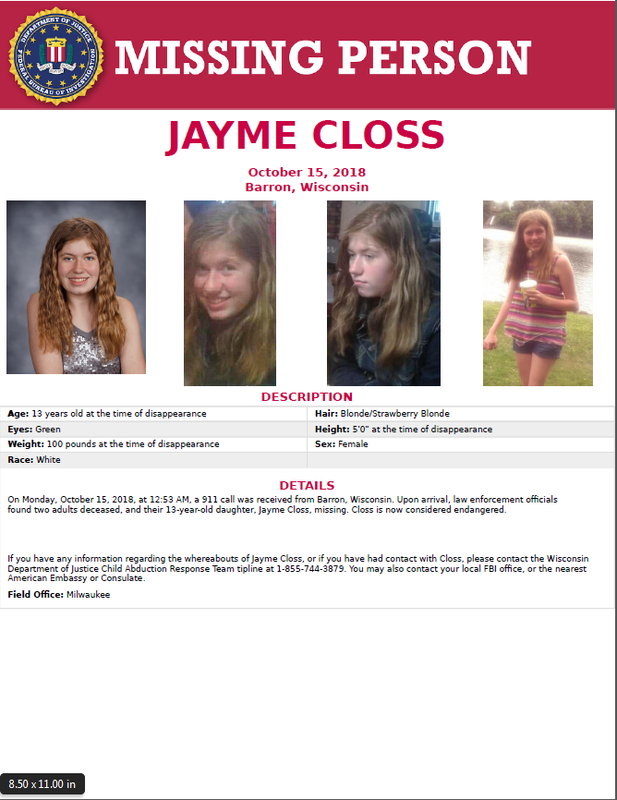 The daughter is identified as Jayme Closs and according to FBI she is endangered and could be anywhere in the country at this time. There will be digital billboards of the missing teen launch later today in undetermined locations, however, the FBI is handling the case on a national level. If you have any information pertaining to this case please contact the Child Abduction Response Team tipline at 1-855-744-3879.